If you are sending your documents to a country that is part of the Hague Convention, an Apostille certificate is used as proof of authenticity among the member nations. When your organization conducts business and trade transactions abroad, your documents need to be authenticated for use in other countries. Depending on whether the country where you do business is a member of the Hague Convention, your documents will need to go through a certification process– either Apostille for Hague signatories or authentication (legalization) – a recognized process of legalization of documents for use abroad. We provide Certificate Apostille for Albania, Andorra, Antigua, Argentina, Armenia, Australia, Austria, Azerbaijan, Bahamas, Bahrain, Barbados, Barbuda, Belarus, Belgium, Belize, Bosnia, Botswana, Brunei, Bulgaria, Cape Verde, Colombia, Cook Islands, Costa Rica, Croatia, Cyprus, Czech Republic, Denmark, Dominica, Dominican Republic, Ecuador, El Salvador, Estonia, Fiji, Finland, France, Georgia, Germany, Greece, Grenada, Herzegovina, Honduras, Hong Kong, Hungary, Iceland, Republic of Ireland, Israel, Italy, Japan, Kazakhstan, Kyrgyzstan, Latvia, Lesotho, Liberia, Liechtenstein, Lithuania, Luxembourg, Macau, Republic of Macedonia, Malawi, Malta, Marshall Islands, Mauritius, Mexico, Moldova, Monaco, Mongolia, Montenegro, Namibia, Netherlands, New Zealand, Nicaragua, Niue, Norway, Oman, Panama, Peru, Poland, Portugal, Romania, Russia, Saint Kitts, Saint Lucia, Saint Vincent, Samoa, San Marino, São Tomé, Serbia, Seychelles, Slovakia, Slovenia, South Africa, South Korea, Spain, Suriname, Swaziland, Sweden, Switzerland, Tonga, Trinidad, Tobago, Turkey, Ukraine, United Kingdom, United States, Uruguay, Uzbekistan, Vanuatu, Venezuela, Vietnam from Delhi, Mumbai, Chennai, Kolkata: India. Norway, Oman, Pakistan, Panama, Paraguay, Peru, Philippines, Poland, Portugal, Qatar, Romania, Russia, Saudi Arabia, Senegal, Serbia, Seychelles, Singapore, Slovakia, Slovenia, Somalia, South Africa, South Korea, Spain, Sri Lanka, Sudan, Swaziland, Sweden, Syria, Taiwan, Tajikistan, Tanzania, Thailand, Turkey, Turkmenistan, Uganda, Ukraine, United Arab Emirates, Uruguay, Uzbekistan, Venezuela, Vietnam, Yemen,Zambia, Zimbabwe. 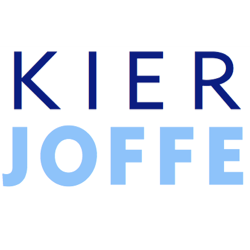 This entry was posted in News on September 15, 2012 by Elias Kier Joffe.